Thursday 11th April was a night to remember in St. Clare's. he 5th & 6th class children performed 'Aladdin' and it was spectacular. to ensure this year's musical was a success. will perform for you this year ! Our annual School Play will be starting after the mid term break! 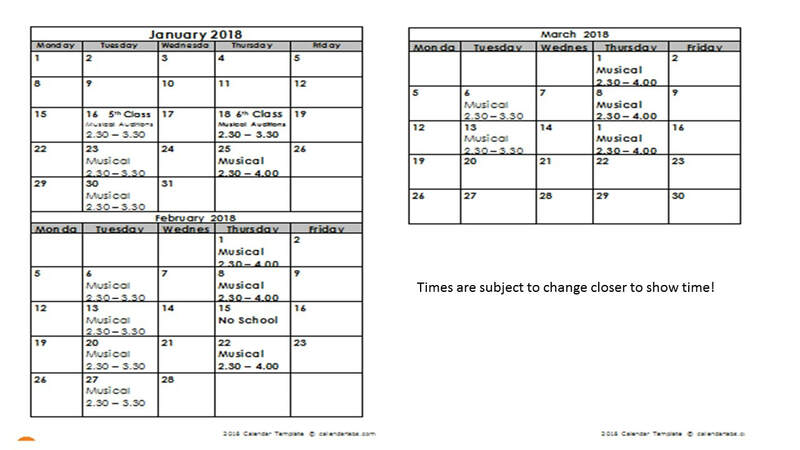 We will be holding auditions the first week back after the mid term and then we will be rehearsing for the following six weeks on Tuesdays and Thursdays after school with performances for the public and the school the week before the Easter Holidays!